The deadline for your application is: Friday, 7 July 2017 at 5pm (UK time). Applicants must provide UCL Student Number or UCAS Application Number for applications to be considered valid. If an application is received after this deadline it will not be deemed eligible and cannot be considered. 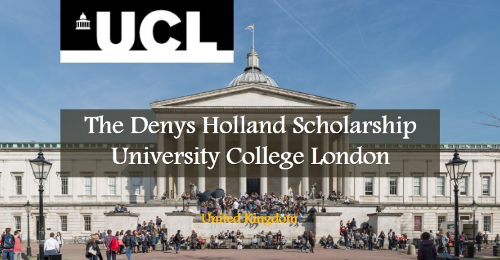 Now that all the information about The Denys Holland Scholarship at University College London in the UK has been delivered nicely; talented students who are eager to pursue their Free Tuition/Scholarships/Study in UK can apply now.